At a time when the scale of imprisonment in the United States has reached a historic high, researchers estimate that more than 600,000 individuals a year are released from prison to return to their home communities. These individuals have serious needs, such as finding employment and housing, reuniting with family members, and obtaining healthcare and treatment for alcohol and substance abuse problems. While research in this area has stressed these aspects of the transition from prison, a less explored area of research considers the role of internal identity shifts from that of an offender to one of citizen, and how this creates the conditions for desistance from criminal behavior both within the confines of a correctional facility and in the reentry process. 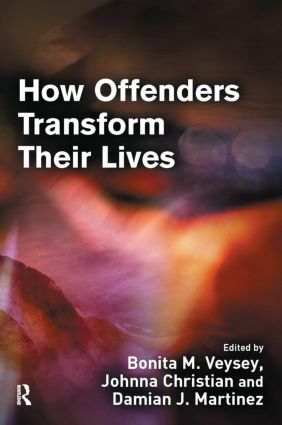 This book presents a series of studies (mostly qualitative) that investigate individual identity transformation from offender status to pro-social, non-offending roles. Moreover, the work in this volume highlights the perspectives of the men and women who are current or formerly incarcerated people. Each piece provides an empirical analysis of the interaction between current or former prisoners and innovative pro-social programs and networks, which are grounded in the most current theoretical work about individual transformation and change. This book will be of interest to undergraduates, postgraduates, researchers and lecturers in all fields within the social sciences, but especially criminology and criminal justice and sociology and social work/welfare. Identity change through the transformation model of the public safety initiative of LIFERS, Inc.